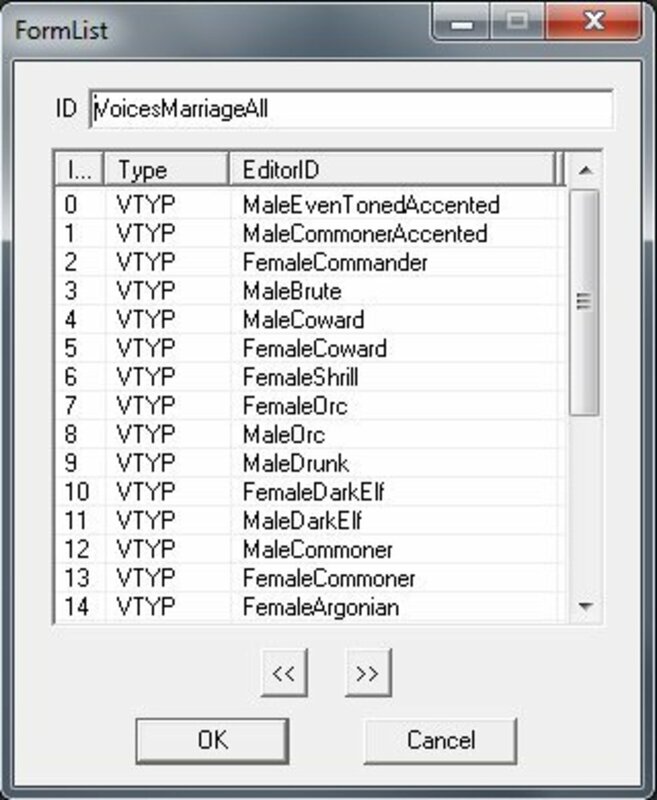 You too can learn how to create custom followers and marriage partners for Skyrim. The followers in Skyrim can be handy in a pinch, and make for great pack mules, but if you've put a few hundred hours into Skyrim, you're probably getting a little bored of the housecarls and hirelings. You might even be holding off on getting married because you can't find an eligible male or female character to take as a husband or wife. You probably already have a few ideas for an interesting companion or spouse that better suits your play style and taste; in this tutorial I'll show you how to turn those ideas into a reality using the Creation Kit. It isn't hard, but if it's your first time using the editor, it does require a bit of reading so that you understand the decisions that you're making. Start Skyrim and either start a new game, or load a game and enter the showracemenu through the console. Create your follower's appearance the same way you would create any other character you were going to play. Exit the character creation screen and save your game. Open the console (~) and type 'SPF' followed by the name of your character. This will export your character's appearance to your installation folder (the one up from Data that contains the Skyrim.exe). Open the Creation Kit and create a new NPC. In the Traits tab, set the race and gender the same as your new character. Set either Essential or Protected, flag as Unique, and pick an authorized voice from the VoicesFollowerNeutral formlist. Set Disposition to 75. Set your companion's level and class in the Stats tab and adjust the Health, Magicka, and Stamina Offsets (usually 50). In the AI Data tab, set the Aggression to Aggressive. Set Confidence to Foolhardy. Set Assistance to Helps Friends and Allies. Set Morality to Any Crime. Pick a combat style. Pick a Default Outfit (armor or clothing) or optionally add the armor to their inventory. Give them weapons and whatever else you think they should have. Give them spells and perks. NPCs cannot use all spells or perks. They do not cast Illusion spells or spells that heal others without scripting. Safe spells are spells that have a hand assigned. Eg. FlamesLeftHand. The LightFoot perk is useful to avoid springing traps when sneaking. In the Character Gen Parts tab, click 'Import' and import YourCharactersName.npc. Optional: Edit the DialogueFollower quest to remove the default bow and arrows from all followers. 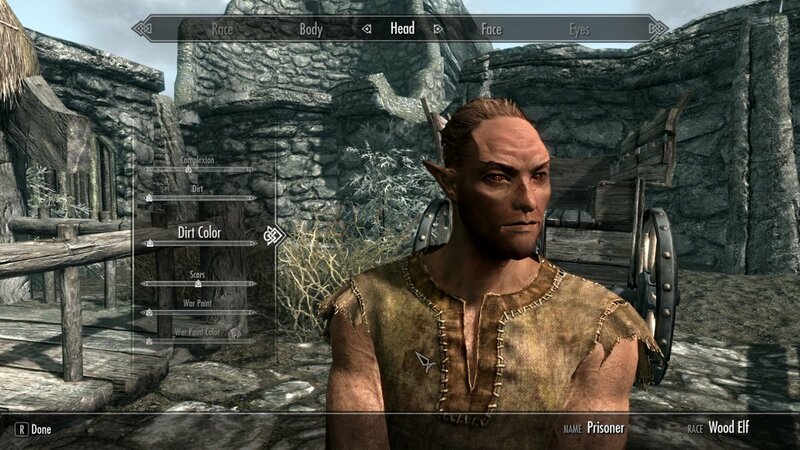 Here's a screencap of my new follower in the Character Creation screen. If you don't already have a copy of the Creation Kit, you'll want to download and install it now. You can do that from the Tools section of the Steam Library. It's a free download and not very large so it won't take long to install. The very first thing you're going to do is create your follower's appearance. This is actually very straightforward (though it can be time-consuming) because you create their appearance exactly the same way you create any other character. 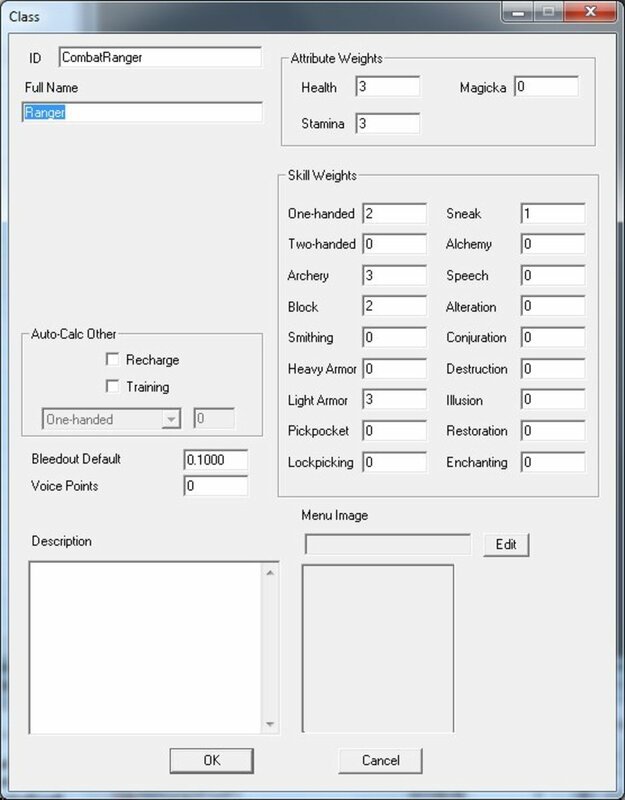 Start Skyrim and either start a new game, or, if you know what you're doing, open the character creation screen through the console using the showracemenu command. I have a save point set right after the cart ride (before Hadvar asks you who you are) that I use as a starting point whenever I create new characters. Creating your follower's appearance is well beyond the scope of this tutorial, but I've written an article about creating attractive characters that you may find useful and/or interesting. Keep in mind that the characters you create, like any other characters, are going to look different outdoors than they will indoors. When you're done creating your character, save your game and proceed to step 2. 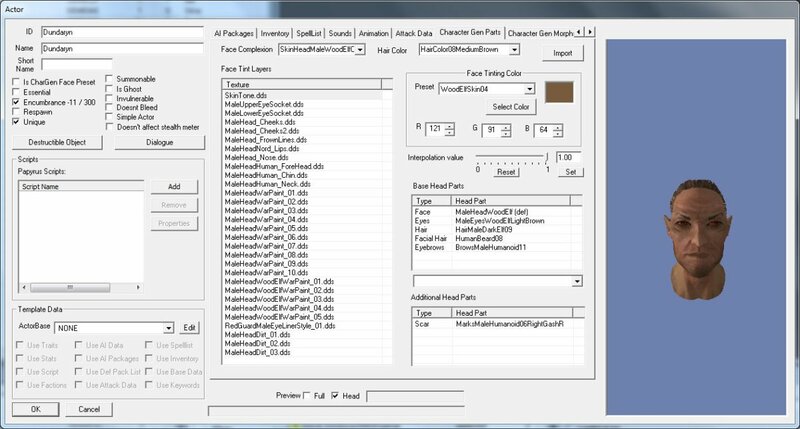 In order to get your new follower's appearance out of the game and into the Creation Kit, you're going to have to export it from Skyrim. That might sound complicated, but it's incredibly easy to do. Open the console by typing the tilde ~ key, which is located in the upper left corner of standard North American keyboards below the Esc key. Type SPF followed by a space and then the name of your character exactly as it appears in-game, then press Enter. For my follower Tannuck, I would type: SPF Tannuck. If everything goes according to plan, the console will appear to do nothing and you can exit the console by typing ~ and then exit the game. If something does go wrong, the console will probably give you an error message of some kind. If you get an error, double-check that you typed both the command and your character's name correctly (you may need to exit ~ the console to verify this) and then try again. though it may be different if you installed Steam to a different directory. What you're looking for is a file named after your character with an .npc extension, for example, Tannuck.npc. Once you've verified that it's there, proceed to the next step. The warnings that appear when you load the Skyrim.esm are harmless (as far as we know) and can be safely ignored, but that doesn't mean you can ignore them entirely. Almost inevitably, at some point, you're going to make a mistake of some kind and the editor is going to want to tell you about it. Periodically, when working on your mods, you're going to want to step through these warnings one by one on the lookout for new messages. If you plan on releasing a mod to the public, you should definitely do this out of consideration for people who download and use your mod. Dealing with editor warnings and cleaning your mod are rather large topics that are well beyond the scope of this article, unfortunately, but a lot of good information can be found on the Creation Kit wiki and in the official Bethesda forums. You're now ready to begin working on the plugin that will get your new follower in-game. 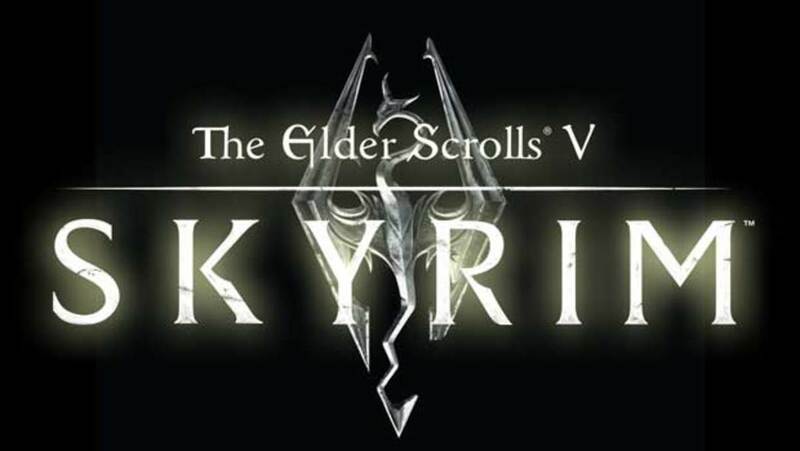 Open the Creation Kit and load the game files in the Data browser: go to File, Data..., and double-click the Skyrim.esm and Update.esm so that a little x appears in each of the boxes. Click OK. (You can find out more about creating and using simple mods in the Creation Kit starter tutorial linked to earlier.) Depending on your machine it may take anywhere from half a minute to a couple of minutes for the editor to load everything. When the editor is done loading the game files, you will probably see a pop up warning you about a navmesh error. The Skyrim master file contains several benign errors that you will see every time you load a plugin; these warnings are harmless so just skip past them by clicking 'Yes to All'. If you click 'Yes', it will clear the current warning and then another warning will appear. You can cycle through all of the warnings by clicking 'Yes' or just click 'Yes to All' to jump past them. If you click 'No', you will be prompted to confirm that you want to quit the Creation Kit, but I don't recommend it unless you feel like loading everything again. Recently, I've had problems saving new mods after I've started working on them. About half of the time, the editor will simply fail to load the Windows save dialog and hang, forcing me to shut it down and reload. To avoid this, I generally save my mods as soon as the editor is done loading the Skyrim.esm. I recommend you do the same. The Creation Kit is a development tool, it's free, it's resource intensive, and it's constantly being updated. Consequently, you're going to get a lot of random crashes and weird bugs.The best way to avoid the aggravation of losing hours of work is to save early and often. You can save your plugin (or mod) from the File menu, or by clicking on the little floppy drive icon. Give your mod a sensible name, like nameOfYourCharacter. It will be given an .esp extension automatically. I recommend you save your mod every few minutes. 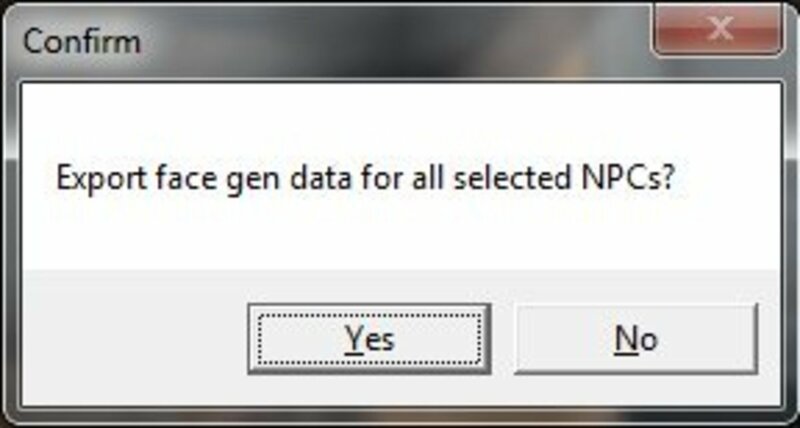 As a heads-up, you can't save your plugin with the NPC editor window open (or any of the other dialog windows) so click OK to save your current settings, save your plugin, and then re-open the NPC editor to continue working. You can create a new character from the right-click menu in the Object window. Form lists are located in the Object window under Miscellaneous, FormList. The VoicesFollowerAll list is the list of 'authorized' voices for followers. The VoicesMarriageAll formlist includes all of the voices that are authorized for marriage partners. Once you've saved your mod, create a new NPC. To do this, find the Actors category in the Object window, open it (click on the little + sign) and select the Actor subcategory. This will load all of the actors in the game into the panel on the right. Right-click anywhere in the actor list in the right pane to open the context menu and select New. This will create a new NPC file and open it in the editor. This is just a basic tutorial, so I'm not going to cover every single option in the NPC dialog but I will cover all of the settings that you need to create a follower. If you're interested in finding out more, you can always refer to the wiki. The first tab is pretty easy to set up, but requires a fair amount of background. Check the Unique flag to let the game know there is only one of your character in the game (as opposed to a bandit or conjurer, for example). This flag is important because you can't create a Relationship without it. Note: The flags under the ID/Name input boxes are prone to unchecking themselves if you change tabs so I usually set them, then click OK on the NPC to save my changes and then re-open the character to continue working. If the editor doesn't allow you to create a Relationship for your follower, it's probably because this flag has become unchecked. The next thing you need to do is make sure that your NPC has the same race as the character that you're copying, and that the Female flag is checked if your character is a female. 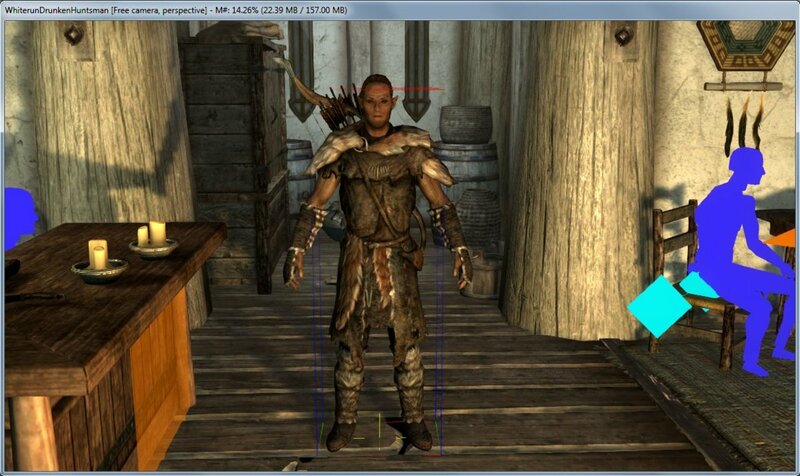 You don't need to set your character's weight because it will be set when you import the settings you exported earlier. If you change the height of your character by too much, you can end up with weirdness in-game, so I don't recommend you change it by much more than + or - 0.1. Even a 0.03 change can have a noticeable impact on how your character appears, so use with caution. The Opposite Gender Anims check box switches which animation set your character uses. This check box is used by Lydia, the female Stormcloaks and Thalmor and many of the female Orcs, so if you want that look for your character, check this box. The followers in vanilla Skyrim are all set to Protected status, which means that they can't be killed by enemies, but they can be killed by the player (usually accidentally). If you don't like that setting, you can choose to set them to Essential, which means that they can't be killed by anyone. 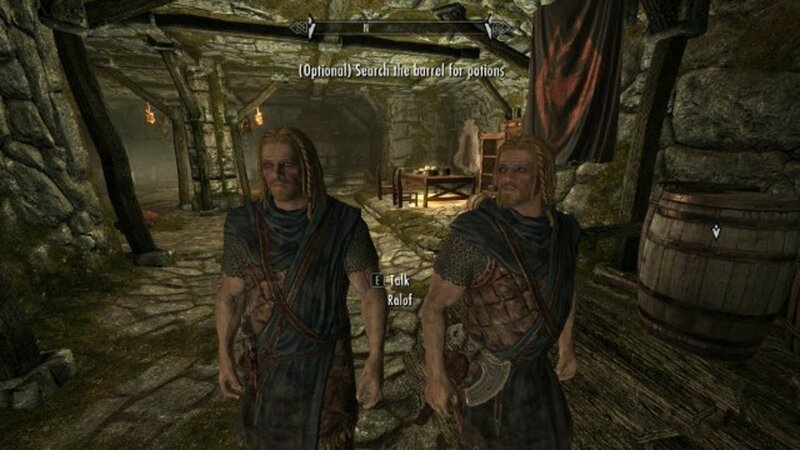 If you find that you're constantly killing your companions in Skyrim with an errant spell or stray arrow and want to avoid doing that with your custom follower (who is, let's admit it, probably a little more special than your other followers) you might want to choose Essential. If you're a really hard-core, dead-is-dead style of player, you can leave both boxes unchecked and the game will treat them as normal NPCs. This means that they can be killed by anyone or anything. If you choose to go this route, just remember that your follower is likely to die fairly soon after you start playing unless you happen to be an extremely good and cautious player. The next thing you need to do is set the Disposition Base to 75 to make sure that the "I need your help..." option will be available in-game. This is sort of a kludge to get around having to create a custom quest to convince your follower to join you and means that your NPC will treat your character like an old friend and join you without hesitation. It's possible to create a custom quest around acquiring your character to create a more authentic experience, like the quests surrounding the followers in the game, but that's well beyond the scope of this article. Personally, I like the 'meeting up with an old adventuring companion' feel that this gives to a follower, and it's not entirely out of place for many of the characters you will create. The last thing you need to do is pick a voice for your character. 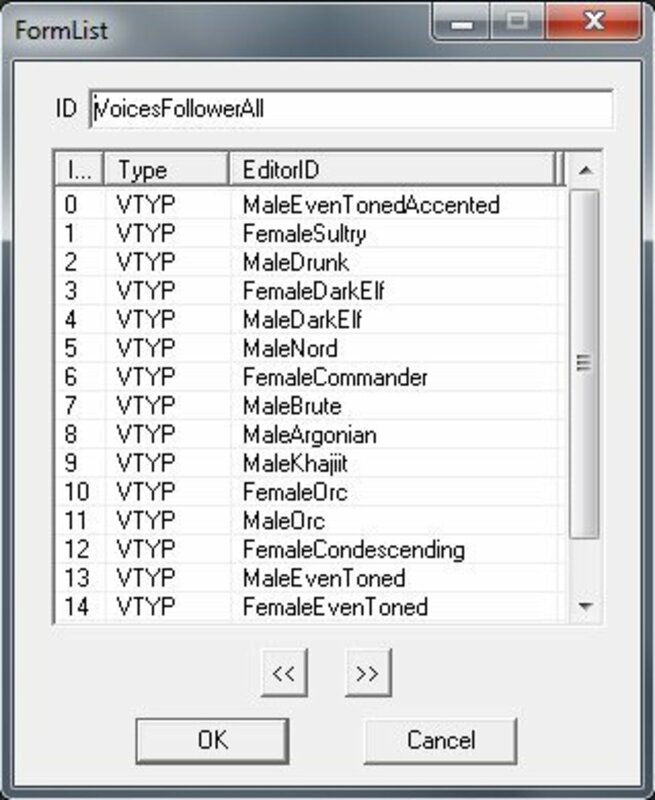 All of the followers in the game use a select number of voices, and it's important that you use one of these voices for your own character or the game won't be able to execute the dialogue that allows you to interact with them. You can find the complete list of 'safe' voices inside the VoicesFollowerAll form list, which can be found in the Object window under Miscellaneous, FormList. There's no way to preview the voices in the editor, unfortunately, so you might have to test out a few in-game until you find the right one. For now, just select one that seems appropriate from the Voice Type drop down box in the NPC editor. If you want to be able to marry your follower, you also have to make sure that you pick a voice that has marriage partner dialogue recorded. The VoicesMarriageAll form list contains all of the 'safe' marriage partner voices, but not all of the voices are included in both lists. If you want your follower to do both, make sure you pick a voice that's included in both lists. If you can't find a voice that matches your character's race (I'm looking at you, Khajiits), you can always use a human voice instead. I used a human voice for my female Khajiit follower Tinga and it sounds just fine in-game (once you get over the shock of hearing it the first time). It's not technically 'lore friendly', but she sounds great so I'm not complaining. A Class definition in Skyrim. The Stats tab controls your follower's class, level, attributes, and skills. 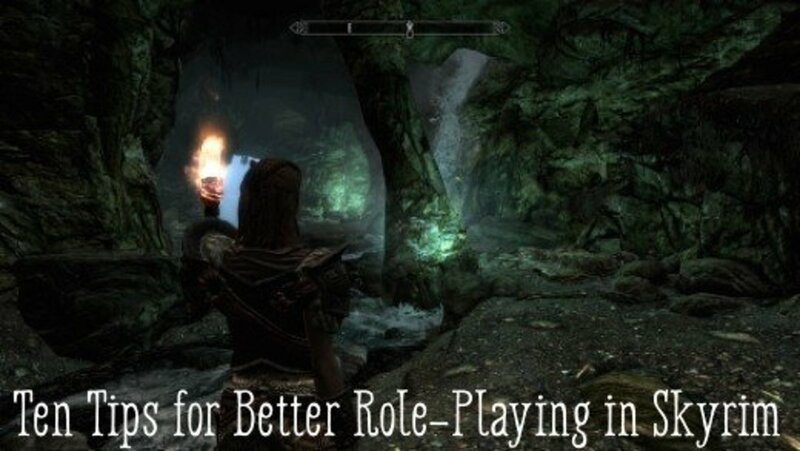 In Skyrim, there are two basic types of NPCs: static NPCs who have a set level determined at the start of the game that never changes, and leveled NPCs, who have their level determined dynamically in-game based on the player's current level when the player first enters their location. Although you could set the level of your follower explicitly, say, to level 20, and leave it at that, the followers in Skyrim are typically leveled actors with a minimum starting level and a maximum level that they won't go above. The level that is actually set when you encounter them depends on your own level and the multiplier used to calculate their level. Most of the followers in Skyrim have a minimum level of 10, but that level may go up to 40 or 50 if you don't encounter them until late in your adventure. Note that followers, by default, will not level with you. Once their starting level has been determined (ie. when you enter the building or area they are located) it never changes. If you enter the Drunken Huntsman on level 2 and talk to Jenassa, she'll be level 10 (her minimum level) for the rest of the game, even if you don't hire her until you're level 30. If you don't enter the Drunken Huntsman until level 50, she'll be level 40, her maximum level. If you enter at any level between level 10 and 40, she'll be the same level you are. That's why your followers seem to go down easier and easier the longer you keep them. Your own follower will work the same way unless you explicitly set their level, in which case, they will always be that level instead. It is possible to make your followers level with you, but in order to do that you need to do a bit of scripting, and that's beyond the scope of this tutorial. To make your follower level with you, check the PC Level Mult box. The default Level Mult to the left is 1.00, which means that your follower will be exactly the same level as you as long as your level isn't below their Calc Min level or above their Calc Max level, in which case they will use those levels instead. You can change the Level Mult to make them higher or lower when you first encounter them (eg. setting it to 1.1 will make their level 10% higher than your own level) but it won't increase them beyond their maximum level or push them lower than their minimum level. You can set your follower to any level you want, but you probably don't want them being too powerful or too weak. For Dundaryn, I've simply set his own level to the defaults used by the housecarls. The NPC's class determines how they allocate skill points. If you look at the sample class in the screenshot, you can see that there are fields for each of the skills. Each of the fields has a number (typically 0, 1, 2, or 3). These are weights that influence how the game divides skill points. For example, for every 11 skill points that a Ranger has to allocate, 3 of them will go toward Archery and Light Armor, 2 will go to Block and One-Handed, and 1 will go to Sneak. 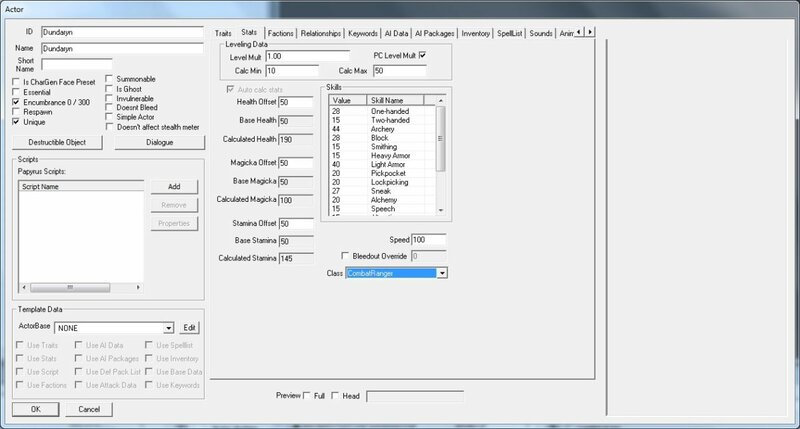 If you look above the Skill Weights, you'll also see an Attribute Weights section that works the same way to calculate your NPC's attributes. You can find the Classes in the Character category in the Object window if you want to look at them before making your decision. When choosing a class for your character, make sure you choose one that puts skill points in the areas you want them to be good at. Before you start allocating skill points, you need to be aware that the following skills are never used by NPCs: Alchemy, Enchanting, Smithing, Lockpicking, Pickpocketing, Speech, and Illusion. Basically, if they can't use it in combat, they can't use it at all. Once you're done creating your class, click OK to save it and it will appear with the other classes in the drop down box in the Stats tab. Once you've chosen your class, you'll notice that the NPC's skills and calculated attributes will update to reflect your choice. If you've given your follower a static level (PC Level Mult unchecked) you can manually edit their skill levels by left-clicking quickly three times on the skill value and typing in a new value. If your follower is dynamically leveled, you won't be able to set their skill levels manually, which makes sense because you don't know ahead of time what their level will be. Those will be calculated automatically based on their class. The next thing you need to do is add them to the appropriate factions. Find the Factions subcategory in the Object window under the Character category and drag the CurrentFollowerFaction and PotentialFollowerFaction to the empty faction list in the Faction tab. If you want to be able to marry your follower, drag in the PotentialMarriageFaction as well. 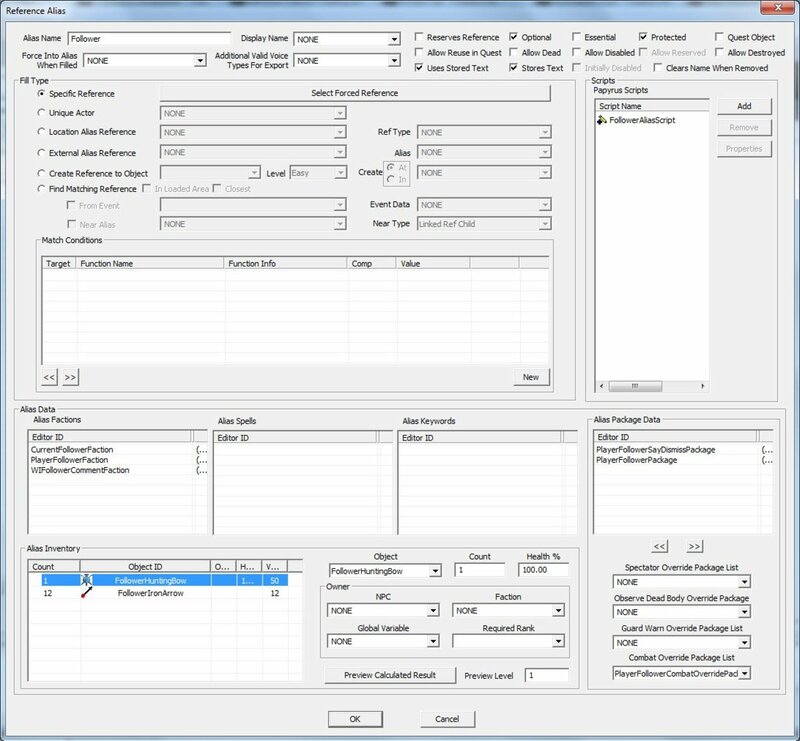 The Relationship tab and Relationship editor. Next we need to set up the follower's relationship to the player. Right-click in the empty Relationship list and select New to open the Relationship editor. (If only it were that easy, right!) If the editor doesn't allow you to create a Relationship, make sure that the Unique flag is set. The Parent NPC should already be set to the name of your follower. Change the Child NPC to Player from the drop down menu. Parent/Child is a standard way of referring to relationships between objects in programming circles and has nothing to do with actual family relationships between your characters. In Relationships, 'Parent' refers to the actor that you are setting up the relationship for; 'Child' refers to who the relationship is with. An actor can be a Parent in a number of different relationships, some of which might include his or her children, but many of which will be toward friends, acquaintances, and other family members. Set the Relationship Level to Ally (Lover might also work for a marriage partner--it might affect dialogue, for example--but I've never used it and I know for sure that Ally works). Leave the Association Type set to None. Finally, give your relationship an ID, like YourFollowersNamePlayerRelationship or something similar. Relationships control which NPCs fight or defend other NPCs. In general, if two NPCs are defined as enemies, they will fight as soon as they see each other. If an NPC observes an ally being attacked and their AI (see below) has been set to assist allies, they will defend that NPC. If you don't set the Relationship, your follower won't know that he's supposed to defend you. An example combat style showing the location of the dual-wielding option. I'm not going to talk about AI packages in this tutorial because they are very complex and not really necessary for a basic follower. Every NPC in the game will default to basic sandbox behavior, even if they don't have a single AI package in their AI Package list. The basic sandbox AI will allow the NPC to wander around within a small radius of wherever you put them and perform simple actions and use various objects. If you put your follower in a tavern, for example, they will walk around, sit down and eat, and even stir the cook pot. Followers without AI packages will return to their starting location when you dismiss them. Skip over the Keywords tab and move on to AI Data. This tab is not hard to set up, but it has a big impact on your follower's behavior, so make sure you do it right. The first thing you need to do is set the Aggression. Aggression determines how likely your follower is to engage in combat. If you leave it at Unaggressive, he won't attack, but if you put it too high, he'll attack everything in sight. Set it to Aggressive so that he will engage enemies, but not random civilians. Confidence determines how likely your follower will flee when the going gets rough. I generally set it to Foolhardy so that they never flee. You might try a lower setting, but even a Brave character will flee whenever their health gets low, which, in Skyrim, will happen all the bloody time. Set Assistance to Helps Friends and Allies. This is the most 'generous' setting. Helps Allies will probably work, too, for the player, though they won't help their own friends that way. (Probably not a big deal if you don't set up any friends for them.) Skyrim uses four basic categories of relationships: Enemies (attack on sight), Neutrals (ignore, depending on Aggression), Friends (assist in combat, depending on Assistance), and Allies, the strongest bond, and the one most likely to result in assistance. Set Morality to Any Crime if you plan on committing any. You probably don't really want your own companions reporting you, though if you never commit crimes it probably won't make much difference. The Mood can be set to whatever you like. As far as I can tell it basically just determines their default expression. Do you want a sad face or a happy face following you around? The last thing you need to set in the AI Data tab is the combat style. Combat style determines things like how likely your NPC is going to prefer using a bow over a sword, how likely they are to use a power attack on a staggered foe, and whether or not they can dual-wield. Not all of the combat style settings are fully understood, so it's probably best if you pick a style from one of the existing ones, but if you're feeling really adventurous you can try creating one yourself. Combat styles are located in the Object window under Miscellaneous, Combat Styles. To create a new one, right-click in the list and select New. The most important settings are the Equipment Score Multipliers in the General tab, which determine how much the NPC prefers one type of attack over another (so if you want someone to use a bow more often than a sword, set Ranged to be higher than Melee) and the Allow Dual Wielding check box in the Melee tab. If it's unchecked they won't use two weapons no matter how many you give them. 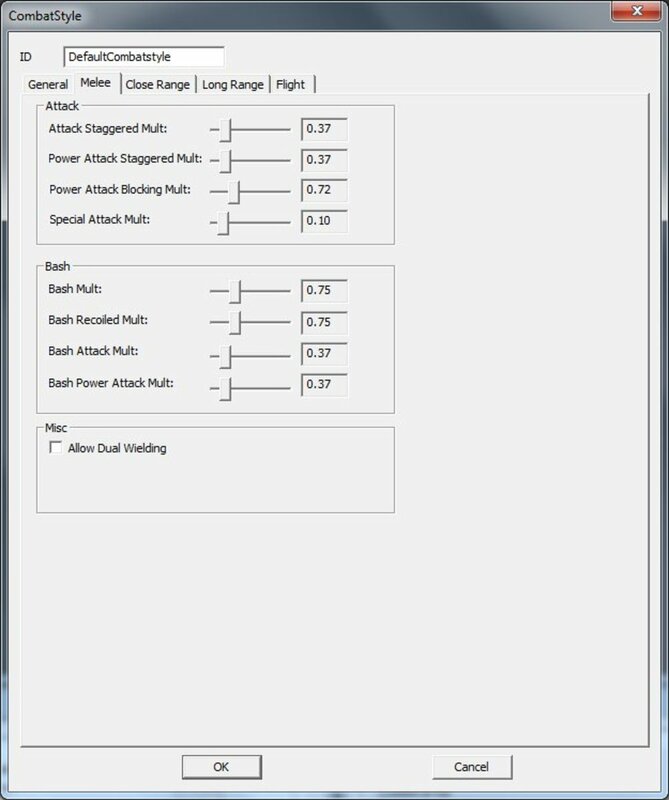 You can also experiment with the Attack and Bash settings which determine things like how likely the NPC is to use a power attack against a staggered foe and that sort of thing. I'm not too sure how the other stats work, though I know a good chunk of them only apply to dragons, so you're own your own here. If you leave them at default settings you'll probably be okay. When you're done tweaking poorly understood numbers, click OK. You will probably have to exit the NPC editor (click OK to save changes) and save your plugin before your new combat style will appear in the drop-down list in the AI Data tab. The Inventory tab with a character loaded in the preview window. In order to fix the two bugs mentioned in the Inventory section of the tutorial, you can edit the DialogueFollower quest to remove the default bow and arrows from the inventory assigned to followers. To do this, find the Quest subcategory in the Object window inside the Character category. Locate the DialogueFollower quest and double-click it to open the quest. Switch to the Quest Aliases tab and double-click the Follower alias in the Alias list. This will open the Reference Alias editor for that Alias. In the bottom left corner you will find an Alias Inventory list. Select the bow and press Delete to remove it from inventory. Do the same with the arrows. Press OK to save your changes, then press OK again in the Quest window. If you get an error about a script failing to update, it means that you don't have the game's source scripts (.psc files) located in the Data/Scripts/Source folder. You'll need to replace those scripts for the Creation Kit to update the quest properly. Quit the Creation Kit without saving, restore the source code files and re-edit the quest. Where to remove the bow from the Reference Alias editor. We're going to skip the AI Package tab (see the note) and go straight to the Inventory tab. There are two ways you can add clothing or armor to your NPC: by choosing a default outfit, or by dragging items into the inventory list. The Default Outfit is automatically equipped on NPCs by the game. If your follower has a default outfit, you can give them different clothing or armor, but they will always equip the 'best' item (from their perspective). If you remove all of the clothing and armor that you've given them, they will revert back to their default outfit. The default outfit is not visible in their inventory, so it cannot be removed from them. If you don't give them a default outfit but just add clothing or armor to their inventory, they will not equip it by default. That means that the first time you meet them, they will be in their underwear. They won't equip their armor until you trade items with them, at which point they will equip the best items in their inventory. To set an outfit, select one from the drop down box. You can see what items will be equipped in the list to the right. If you want to preview an outfit, check the Full box beside Preview in the bottom center of the NPC window and your character will appear in the preview window on the right. (In the screenshot you'll see Dundaryn, but you haven't actually imported your character's appearance, yet, so you'll just see the first preset instead.) Your character is probably too small in the preview window to get a good look at, so use the left mouse button to rotate around him and the middle mouse button to zoom (wheel) or pan (hold down). The preview window is a trifle annoying to use so it might take you a bit of fiddling to get a good view. To add armor or clothing directly to the NPC's inventory, read the following section. To add items directly to their inventory, find the appropriate category in the Object window under Items and drag objects from the list to the Inventory list in the NPC window. Followers will often revert back to the hunting bow even if you give them a better bow to use. Every time you dismiss them and then re-recruit them another bow will be added to their inventory. Eventually, they won't be able to carry any more loot because their inventory will be full of bows! To avoid these problems, you can follow the optional step of editing the DialogueFollower quest shown in the sidebar. This will remove the default bow and arrows from all followers in the game. If you change this quest, and you want your followers to have a bow and arrows, you'll have to give them items from your own inventory. Of course, with this particular follower, you can just add them directly to his inventory. If you drag arrows from the Ammo subcategory, you'll notice that it only adds one arrow to inventory. You can change the number of arrows by selecting the arrows in the inventory list and editing the Count field below the list (beside the Object drop down box). Ignore the Health % field as item degradation isn't used by Skyrim. If you're creating a follower that uses spells, you're going to want to add some spells to her spell list. NPCs in Skyrim can't use many of the spells that are available to the player. This is partly for the simple reason that the AI isn't smart enough to know when to use them, partly because some of the spells don't make sense for anyone but the player to use (eg. Clairvoyance), and partly because some spells which work on NPCs won't work on the player. (eg. Fear). Keep this in mind when adding spells to your follower. As I mentioned in the discussion of classes, the Illusion school isn't used by NPCs at all, so don't bother adding any of these spells to your follower unless you plan on doing a lot of scripting. (I'm not even sure it's possible to get them to use them with a script.) NPCs also won't heal you or other NPCs, though I know that they can be scripted to do so. In general, you're going to restrict your spell selection to anything that has a 'LeftHand'/'RightHand' in the Editor ID. The Character Gen Parts tab. Remember to export your NPC's face texture with Ctrl + F4! You're now going to import your character's appearance. Before you try this step, make sure you save your work as the editor has a tendency to crash for many people at this point owing to a bug with the current version of the Creation Kit which causes the Windows dialogs to fail to load properly for some people a large percentage of the time. When this happens, the Creation Kit will hang and you will have to close the editor and reload everything and try again. It may take you a few tries to get it to work, but try to be patient, you're almost done! If you look at the Character Gen Parts tab you will see an Import button in the top right corner. When you click it, assuming the Creation Kit doesn't crash, it will open the Windows file browser in your Skyrim folder. Find your character's .npc file, which should be named after your NPC, select it, and click Open to import it into the Creation Kit. Your NPC now has the appearance you created in the character generation screen in Skyrim. 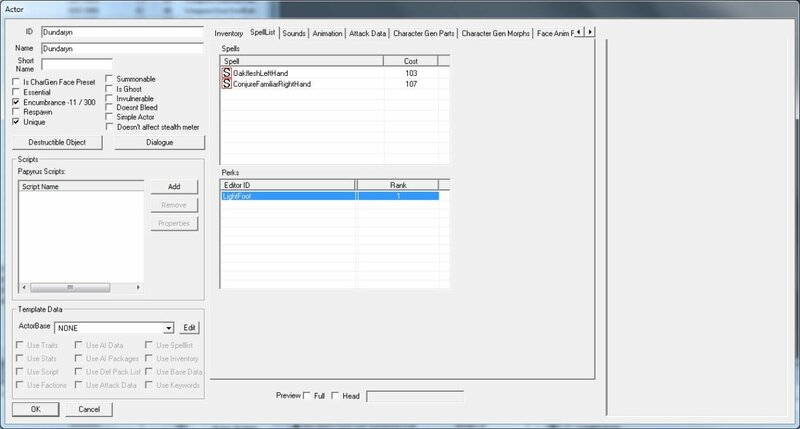 To view your character, select the Head check box in the bottom center of the NPC editor. You can rotate your character's face to get a better look at him or her by using the left mouse button. Your may notice that your character's head looks a little distorted. This is just a side-effect of the way that the Creation Kit renders the head in the preview window. The reason why we used Skyrim to create your character's appearance was not only because it is easier to use the tools in-game, but also because your character will look slightly different in Skyrim than in the editor, so using Skyrim is just more accurate. Once you've imported your follower, click OK to save your work then select them in the Object window and press Ctrl + F4 to export their face settings. Click Yes on the confirmation dialog that appears. If you forget this step, your character's face color will not match the body color in-game and you may be missing scars, war paint, and other face coloring. This is probably the most common problem that people encounter when creating custom NPCs. The 'xxxxxxxx' is a unique, 8 digit identifier. The .nif file is your character's head mesh and the .dds file is your character's head texture. (The other file is your character's head texture in a different image format and is not used by the game.) If you release your character as a mod, be sure to include the .nif and .dds files along with it so that others don't encounter your bug, and be sure to keep the file structure intact so that the game can find them. Tip: If you try to export your character's face and nothing happens, make sure that the Is CharGen Face Preset box is unchecked. It won't export if it is. The last thing you need to do is add your follower to Skyrim. As it stands, they only exist as a definition inside the editor; they have no existence inside the game world itself. The first thing you need to do is decide where you want to find your follower. Because we haven't added any complex AI packages or done any scripting, it should be somewhere you don't mind traveling to if you decide to dismiss your follower and then re-recruit them later. I usually place my followers in taverns and inns and similar locations, but you can put them wherever you want. Once you've decided where you want to put them, you need to find that location in the Cell View window. The World Space drop down box lists all of the 'worlds' in Skyrim. A world is essentially a standalone environment that is connected to other worlds via loading doors. There are two basic kinds of 'worlds': interiors and exteriors. All interiors are composed of a single cell separated from all other cells and all exteriors are composed of a collection of continuous cells. Both types of cell are connected to other cells via loading doors. The inside of the Bannered Mare is a good example of an interior cell. 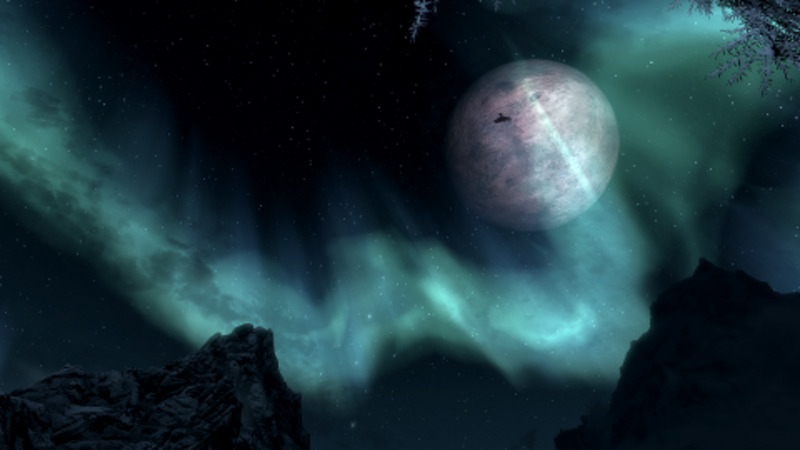 Skyrim itself is one massive world space that contains a number of smaller world spaces, like the city of Whiterun, which is also an exterior world space. All of the interior cells are located under the first listing, Interiors, in the World Space drop down box. I'm going to put Dundaryn in the Drunken Huntsman, a good place for a worldly Bosmer with a taste for adventure. Most of the interiors in the Cell View window are organized by the name of the town or dungeon that they belong to. The Drunken Huntsman, for example, is listed as WhiterunDrunkenHuntsman. If you want to place your character outside somewhere, you'll need to select the Tamriel world space from the World Space drop down box (Skyrim is part of Tamriel). This will load all of the cells that make up Skyrim's portion of Tamriel in the list on the bottom left. Cells in exteriors that contain points of interest, like dungeons or camps, are often named after those locations, but the vast majority of the cells are nameless wilderness cells organized by X and Y coordinates. It might take you a while to find the cell you're looking for, but you can make your job easier by opening a cell that seems close to where you want to be and then navigating through the world space in the Render window. Once you've located the correct cell, or a cell nearby in exterior world spaces, double-click it to load it in the Render window. Navigating in the Render window is a little tricky at first. The important thing to remember is not to select anything you don't have to because if you accidentally move it, it will create a 'dirty edit' which can cause conflicts with other mods. The Render window will load in top view, probably centered over an object. To move around, use your mouse wheel to zoom back, then press and hold the middle mouse button to pan around until you find a good place to position your follower. You can use the mouse wheel to zoom in again until you're fairly close to where you want to drop them, then go to the Object window, find your follower, and drag them into the Render window. You can select your follower with the left mouse button and then rotate around them by holding down the Shift key and moving the mouse. (Don't hold down any buttons on the mouse when rotating.) Your follower should have a little red, green, and blue box around them indicating that they are selected. You can drag your follower around by holding down the left mouse button and dragging (a small icon with four arrows will appear). Make sure your follower is not overlapping any other objects in the game, otherwise you could end up with weird collision issues. Your follower should be on the floor or ground, but if you accidentally placed them on top of a chair or a rock or another object, drag them to an empty spot and press F to make them fall to the ground. If your character is stuck inside the floor or ground for some reason, hold down the Z key while dragging to drag them up out of it and then press F to drop them back on top of the ground. If your character is sticking down through the ground or floor, they may not appear in-game because they are currently falling through infinite space. Note that there's a lot more to using the Render window that the few controls that I mention here. This should get your follower into place, which is all we need in this tutorial. If you need further instruction, just check out the Creation Kit wiki. The process of turning one of your own characters into a follower is identical to the process used for creating any other follower. The only difference is that you export your character's appearance from the console in-game, rather than the custom character you created earlier in the tutorial. You can then import your character's appearance in the NPC editor and set their level, traits, attributes, etc., just as you would for a normal follower. Save your work and exit the Creation Kit. 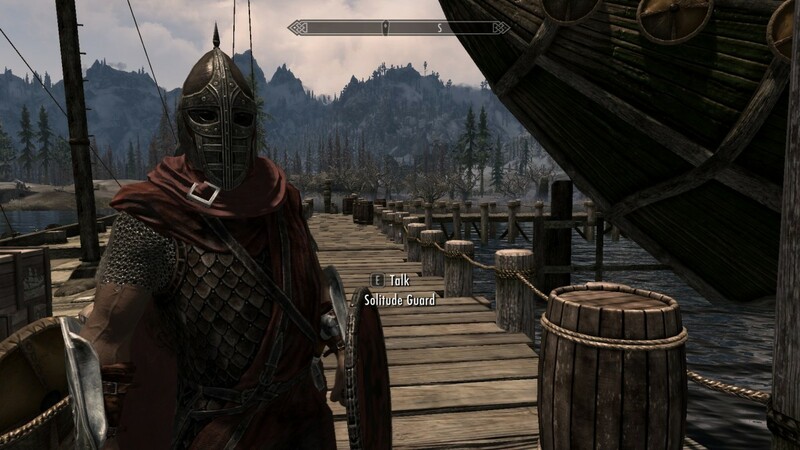 Start Skyrim and confirm that your mod is checked in the load list. Go to the location where you placed your follower. If you've followed all of the steps in this tutorial correctly, you should find your follower sandboxing in his or her starting location. If you talk to them, they should offer you the "I need your help..." dialogue option. If you set up your companion as a potential marriage partner, they should also have this dialogue as well, but remember that you need to have an amulet of Mara equipped to get the dialogue. That's it! Take your companion on a quest and see how they do. If you decide you want to change something about them, you can always just load their plugin into the editor and tweak away. If you're ready to take your follower to a whole new level and turn them into a full-fledged hireling that co-exists organically with the other hirelings in the game, read my How to Create a Hireling in Skyrim tutorial. I followed the instructions 100%, but when I got into the game, my follower looks NOTHING like he did when I created him. I made sure that I loaded all the mods I used when I made him into the CK. What did I do wrong? I followed the instructions perfectly, yet the NPC doesn't seem to strike up (interactive) dialogue with me, any help on this? Followed everything correctly, the NPC is in the world. But when I talk to them, it just repeatedly says “Need something?” Etc. No dialogue options come up. Can someone help me? Super useful, made my first mod thanks to you. Thank you for a very comprehensive and well-written tutorial! Starting with no Skyrim modding experience I just turned one of my player characters into an NPC follower using this tutorial. Everything is working wonderfully on the first try, and in my experience, that hardly ever happens with anything. Well done! If the Relations tab thing does not work although you checked "unique", make sure "unique" is checked and click okay, then open the actor again. I just wanted to say thank you! I've been having the hardest time finding mods that add a decent variety argonian followers. Now I can make my own, I've just finished the first (very basic) one and its working perfectly. Everything was going well until I got to the relationship tab, I made sure that I had the Unique Flag checked but it still didn't work when I tried to create a new relationship. Could somebody explain this thing to me please? Is there a way to import something like this to console? Like if I turn it into a mod will it be available to download? it worked perfectly besides the fact that my follower does not have any typical dialogue options such as "follow me" somebody should help us understand this step in follower creation. im going to look at faendal and see if his dialog can be copied. This guide was great except for the fact that the NPC does not show up in game. I exported the NPC, placed it in the render window, made sure it wasn't stuck in the floor, then saved. Double checked the esp file was enabled. Nothing. Tried this multiple times placing in multiple locations. No NPC ever shows up. I see other threads showing up on google search about custom NPCs not showing up. Is there some other missing detail out there to making an NPC show up? This is awesome, thank you very much! I'm trying to make the follower I made with this give me potions, but I'm stumped. Any advice? Great guide, but one thing. I followed it to a T, but the dialogue option that comes up for my follower is just "You Know..." and when I click it, it also only gives me one option "Never mind" and that's it. I can't get her to follow me or do anything else. Bummer. Yeah.. They're pretty scarce on being very specific such as you. I wish there was a video going over your steps. But Alrighty then. Unfortunately, I've had to give up modding for work-related reasons (I work too much). I'm not sure what kinds of tutorials are currently available. Do you think you could make an video of this? Or is there one like this? SPF isn't works for me, can anyone give me an advice how to get it to work? It works fine, until I want the follower to actually /follow/ me. It says that he's already following me, but wouldn't leave the area I placed him in. This is a great tutorial, just created my first follower! However, there is one unanswered question - where do you add shouts to the follower? I assumed in the spell list so hopefully doing that won't crash Skyrim... Anyway, thanks for all that wonderfully detailed information, helped a ton! Oh man, what a good guide, thank you! Since the comments are still active, I figured I'd ask; do I have to do anything specific to get an NPC/follower to sandbox both in and outside of a house after I place them? For example, if I place my NPC inside my house, and I want him to mess around there for a while and then go outside and wander around the yard, how do I do that? Hello! Thank you for this guide, I've found it very useful and have greatly enjoyed creating the most awesome followers I could imagine. I have a question, though: I'd like to move a follower, who I have already placed in the game and brought on several adventures, to a different location (I originally placed him in the Bannered Mare, and would like to move him into Breezehome). Can I simply load Breezehome into the render window and drag him there? Or will that create a duplicate of him? Do I need to delete him from the Bannered Mare somehow, or drag him from the Bannered Mare to Breezehome in the render window? Never mind my last question. I verified the integrity of my game cache via Steam, redid the thingiemajiggy Edit the DialogueFollower Quest, and I didn't get the error this time. The problem is, I'm not sure now if I should clean the DLCs with TES5edit now like I did when I was first setting my game up to be modded. Any thought? I'll try cleaning the files and let you know if I discover anything regardless, so it's fine if you don't respond to my post. Thanks for your hard work in making this tutorial! "If you get an error about a script failing to update, it means that you don't have the game's source scripts (.psc files) located in the Data/Scripts/Source folder. You'll need to replace those scripts for the Creation Kit to update the quest properly. Quit the Creation Kit without saving, restore the source code files and re-edit the quest." How, pray tell, do I "replace those scripts?" Great tutorial. I got much farther using this tutorial than anything else I've looked at. I know you're busy, and I'm whining at you, but I really don't understand how I'm supposed to replace these missing scripts. Oh, and those scripts are actually there where they should be, CK doesn't want to recognize them apparently. I tried checking my cache, but it will probably only result in me needing to clean the DLCs again. Ugh. Hate doing that. Horrible tutorial, there was no charectergen tab, never told us how to get into certain places like formlist, and you skipped around too much. I hope you might be able to help with an extension of the grayface thing that you avoid with Ctrl+F4? I put my created follower on the skyrim steam workshop, only to discover that when he (and two others I made) lose all their color when downloaded by myself and others anywhere else. I tried telling CK to include the three files it created in the Archive, but I'm not sure I did any of that correctly (or if it's even what needs doing). I'm sure there's a relatively simple way to do this and I just don't get it. Google isn't doing any good, perhaps because I don't know how to search for this. I keep coming up with more tutorials like yours (and including yours) that don't say anything about uploading. Hello! I have just begun experimenting with making custom follower NPCs, and I tried to make one for a friend but unfortunately the follower won't show up in-game. He has downloaded the hair/eye mods I used to make the NPC, and as far as I know the mods are all activated in his game, but the NPC just will not show up where she's supposed to be. Can anyone help me figure out why that is? @j-u-i-c-e I have tried 3 separate voices from the correct list. @Kay: Sounds like it might be a voice issue. If the voice you pick doesn't have the required recorded dialog you won't be able to access the scripts. Check section 6 under Pick a Voice Type. This simply isn't working for me. My created follower only responds to me with "Hmm" and other generic greetings. 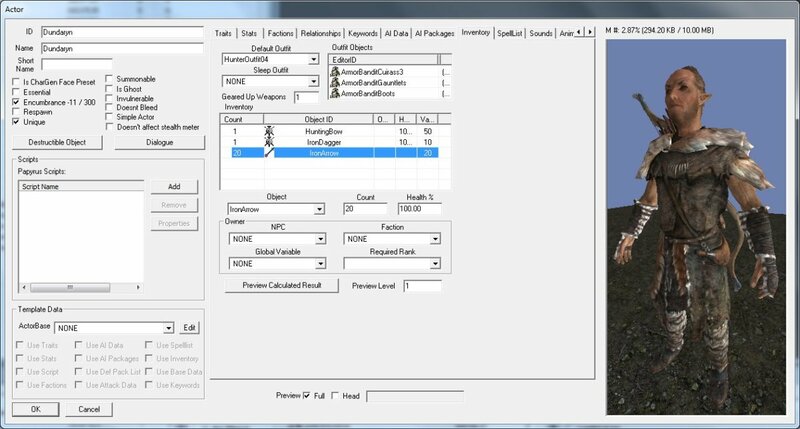 His disposition base is set to 75, he is set to unique, and all factions and relationships are set exactly as the tutorial describes. Is there any other variable I'm missing here? I have recreated this follower 5 times, from scratch, just to check that I haven't been missing anything. Every time I get the exact same result. I created my follower with a lot of mods and when i imported the face i suddenly showed a totally different person... Do i need to activate all the mods i used in game to create the char in creation Kit as well? Another note: If you want to save over your original mod, you need to set the mod that you are modifying as the ACTIVE plugin. This should fix several problems. First of all, you guys need to make sure you're running the Creation kit in Administrator mode. Don't just right click and run it like that. Right click the application and go to the properties. Go to the last tab, which should be security? And click on the box in the tab that says "Run this program as an Administrator" or something of the sorts. This will allow you to save your project and access it in the future. This is likely the problem for you guys that are having trouble accessing and saving your files. 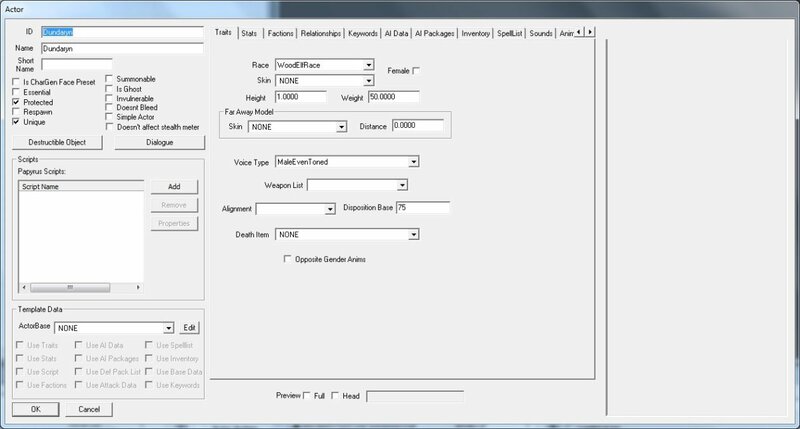 For those of you having trouble exporting the Face Gen Data, move your ENTIRE skyrim folder to the desktop and try it again. Windows doesn't like to let applications save files to the program files folder, so just move the entire folder there. Be sure to put it back when you're done! For those of you having trouble with the dialogue, only certain voices will allow you to make followers that will actually follow. Try a voice like the Female Even toned or something of the sorts. Your guide is very helpful, i was able to understand and learn everything to base my future modding on. The only problem i have encountered was when you would ask the follower to follow you, there was the dialogue and voice, but they didn't actually follow me. It wa slike i never told them to. After many attempts, I took away the faction "current follower rank -1" and it worked. I believe it might be because i have multiple followers lite and other mods, which could be conflicting with that command, because it would also change the behavior of the other followers i had with me, making them leave for no reason. I did everything the tutorial said and when i located my custom follower she has zero dialogue. Can someone please help me. How can you make your NPC have hair mods? Thanks for the great tutorial, man! Now I'm off to the Creation Kit wiki to get deeper into modding! Hey juice, first of all, I just wanted to say thank you for the wonderful tutorial- made something that ~seemed~ impossible, plausible, and then achievable. I have my very own follower now. My follower is in the game, seemingly perfect enough, yet, I can't make him follow me- when I talk to him, the only dialouge I get from him are saying greetings and hellos for his voice. Disposition is set to 75, and I checked the relationships, and they all seem to check out, so I'm not sure what's happenening. I thought mods would be the issue, so I disabled all my follower mods, and no change- Lydia still works fine, however. @anonymous25891: When you first open the editor, it will give you a lot of warnings. Click 'Yes to All' on each warning that pops up to quickly skip through these warnings. As soon as the warnings are done, save your file. Then, as you're working, periodically save it again. If you're in the middle of working on your character (you have the Actor dialog box open), you have to hit OK on the Actor dialog box before you can save the file. When you click OK, the editor remembers the changes you made to your character in the Actor box, but your file as a whole hasn't been saved. You need to then save the file and then reopen the Actor dialog box for your character to continue working. The process works like this: Do a bit of work on your character, click OK, (the Actor box with your character disappears), save your file, reopen the character, do more work, click OK, (the Actor box disappears), save again. You have to save your file a lot because the editor crashes a lot and you don't want to have to redo a bunch of stuff. Dude. Seriously, thank you for this idiot-proof guide. I was able to create a nice handful of personalized awesome adventurers, all thanks to you! Hi, successfully did the first step, but when I got to the second step "SPF" part, the console said "compiled script not saved!" could it be because I'm using SKSE instead of the original game load? Or has the command been changed? Please help! I would really love to create this follower!!! I am so confused .. The first few steps I got but after that .. It's hard to comprehend what do to , & where to go from the previous step to the next .. It 's a pretty nice tutorial though . My follower worked great for a while, until I had to dismiss her, then she dissapeared so I respawned her with the Editor (I made sure there weren't any other copies) but I don't get the follower dialogue anymore. I just got Lydia, might that have anything to do with it? I'm having a problem after creating my follower and placing him in the game, he doesn't move after I've said I need him to follow me. He just stands still. If I run into him he will move back but still stand in that one place. Any solution for this? Might be a mod conflicting but it might be that I missed something. That was an awesome article - thanks! I want to get into modding, and this is where I'd like to start. A simple question: In my on-going game, I simply want to change a few stats and skills on the potential follower Erandur. (I'd like him to be a mage; his stats look more like an orc berserker ... ) If I follow your guide to edit Erandur himself, then save to an .esp file - will the new mod simply replace the vanilla version of Erandur? A more complex question: I play with SkyRe, and I'd also like to add some spells and perks from that mod. However, it would seem that it's tricky getting any kind of spells to work well for followers. At least on SkyRe spells that would seem to be direct carryovers to what follwoers already use (alteration, destruction, conjuration): Can I simply load the SkyRe module in question and get access to the spells I'd like? @Anibalus: Your character is in the Object window (usually the upper left window), under Actors. They're listed alphabetically by editor id, though you can narrow the search by selecting your character's race and gender. Once you find the listing, just drag and drop into the Render window. Nevermind, i figured that out but i now have a new problem. When im at "Export Followers Face Settings in Step 13. i click OK in the bottom left which sends me back to the followername.esp screen. I don't understand the rest from there. How do i find my character in the Object Window? Im having this problem when i go to relationship and try to add my npc to the 'Parents NPC' his name doesn't show up. Have i done something wrong? Hi, I'm having the problem that the face (and hair) I create in-game look nothing like the face imported when I create the character? Any idea why? 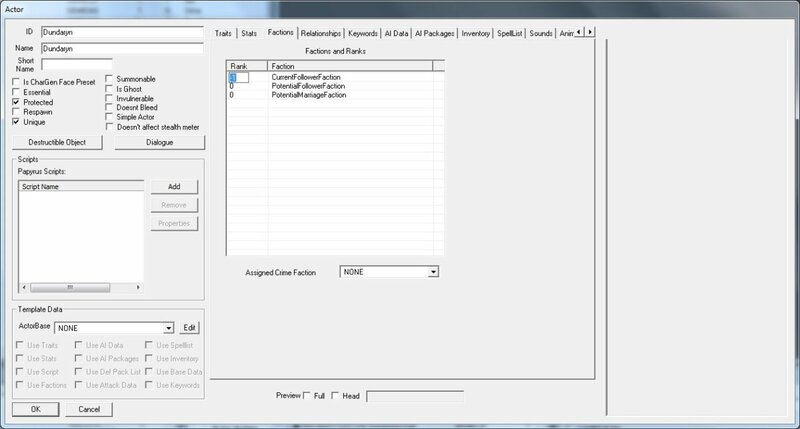 How can you EDIT your working custom follower? If I reopen my follower file on creative kit and edit something, like add more spells or change his looks for example.. After that I can't save the file properly because it's a "master file" or the file is already in use. However saving it with other name works and I tried this, but when I do, the file is empty and my follower doesn't appear in the game at all. I'm having the hardest time. When I first imported him to the game, strictly following your guide, everything worked fine. I could talk to him, ask him to follow me, but he was not attacking anything. I went back into Creation Kit to find the problem (I still don't know what it is), and tweaked a few things. Now there isn't even any dialogue prompting him to follow me. When I go back in to edit it, he disappears from the place I originally set him, making sure I reset him inside the location before I close out of Creation Kit. At the same time, every time I open up Creation Kit, his relationship keeps deleting itself. Disregard my previous comment, anyway, I followed your guide, I ask him to come with me on an adventure, he says something then he doesn't do anything, and the sentence is able to be prompted again. @Luminaure: I haven't actually done any modding in almost a year, so I'm sure you can find better help on the forums, but here are some suggestions. Usually, if an NPC won't talk to you, it's because they either don't have the voice files, or the dialogue conditions haven't been met. If you miss even a single step in this tutorial, your follower won't work. First, make sure that the Unique flag is set on the NPC. The editor sometimes fails to set it properly, which will prevent you from setting the relationship. Next, double-check the relationship and faction settings. If all that is set up correctly and it still isn't working, try changing the voice and see if that helps. It has to be a voice that is already being used for a follower/marriage partner. I'm not exactly sure what you mean about the editor not letting you save your changes. Is the editor itself not saving, or are your changes just not showing up in the game? If it's the latter, you need to test your mod using a clean save, otherwise the game may be pulling old data from your save file. Good luck. @stanrir: Sorry I missed your post. I'm not sure what the problem is, but it sounds like it could be related to Hearthfire which I never got around to downloading. You can probably find help on the Bethesda forums. I've followed your tutorial and I've got some problems with the Npc I made. You seem like and expert on this subject, so I wonder if you have any solutions to the problems I have. I wanted to make an Npc I could use as a follower and that I could marry. 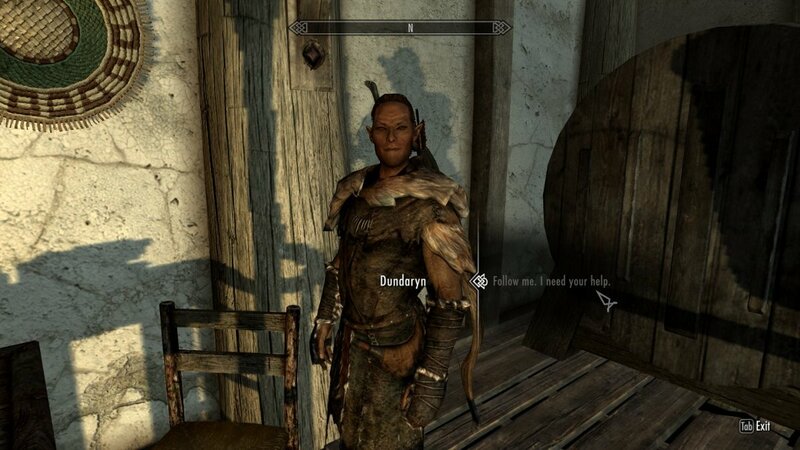 But after making the Npc and putting her in the Four Shields Inn in Dragonbridge, I couldn't talk to her. No conversation came up, she just said things like: ''Mmh?'' and '' Yes?''. And when I tried to edit the Npc, I couldn't save the changes I had done. I would be very grateful if you have any solutions to the two problems I've encountered. ok followed this guide and it worked wonderfully, until i tried to marry my new NPC everything went smooth in the temple of mara until after the wedding i talked to my new bride, and she was asking about living arrangments she said "oh but we have to find a place big enough for your kids to" then she closed the dialog and walked away. Happened every time i talked to her after that? @kar2nz: Try googling 'Skryim missing eyes'. This kind of problem is common if a race uses custom eye meshes, though there are other reasons why you might be having this issue. Glad you're making progress on your mod. Best of luck! thanks again for the speedy response. through trial and error, i've almost completely finished this experiment. The newest version of the mod had a .bsa file in it. the missing files were in there. I extracted the files in bsa commander, and carefully placed them in the correct filepaths. then, i altered the hair textures with the dds converter, and photoshop. (the hair textures and head meshes were within the mod, so i didn't change anything from the main game, or any other mod.) the result? green hair, which was one of the things i was after. so, success! black eye sockets! can't figure out where that is coming from. tried altering the uppereyesocket and lowereyesocket shaders, and no result. black eye sockets. this is the final obstacle i have to overcome. i am currently contacting the authors, and searching online for a solution, but as yet no luck on either. if this is something simple-stupid, please tell me. if not, i just want to say i would have NEVER gotten this far without your tutorial. it was by far the biggest help of all the information sources i could find. for it's intent, it is perfect. i just needed to go beyond the scope of this tutorial a bit. If i can overcome this obstacle, i am considering sharing her on skyrim nexus, with the author's permission of course. thanks again for all your hard work, and assistance. @kar2nz: The errors relating to eye/head nifs are connected to the custom race. To do what you want to do, you need to combine the custom race mod with your follower mod which is well outside the scope of the tutorial. I'm not sure exactly what the problem is if you're using an existing follower, but your best bet is to contact the author of that mod. They've already solved the problem you're trying to solve. Combining mods without a special tool (like WryeBash or TES5Edit) requires an understanding of the mods you're merging; you can't just load multiple mods in the Creation Kit because the CK ignores data from any mod (.esp) other than the mod you're actually working on, even though you can see its data and apparently edit it. (Strange but true.) You have to mod the original race mod or you need to recreate the parts of the race mod you need (which is probably all of it) inside your follower mod. If you're really interested in creating custom followers that depend on other mods, you're going to need to learn race modding and body modding. Doing anything outside of reusing vanilla assets gets really complicated really quickly. thx for your speedy response. turns out, someone already made a follower based on this custom race. being as this is for now, only for my personal use, i decided to simply alter this author's character to my personal tastes. would have worked fine, but when i try to export the facegen data, the editor says it can not find the eye nifs, nor the head nif, and then it crashes. is this also beyond the scope of this tutorial? i have tried making the character esp active, and i have tried making the race esp active. crashes both ways. Thanks, Kathy. I'm glad you found it helpful. Thank you so much for taking the time to post this! I was able to follow it quite well, even though I have never really used the Creation kit before. I shall look into that, the link you gave 410-ed, but it gave the right link under 'one of these pages may be useful'. Now that I have been busy with downloading mods and seeing what they can do I got quite interested in modding so your link will certainly help. @Michael: Sorry, HubPages won't let me link to my hub for some reason and it's locked me out of editing my comment. Just look for my tutorial How to Make a Custom Hireling in Skyrim for the instructions on cleaning a mod. It should be linked at the bottom of this tutorial. @Michael: You don't need to uninstall/reinstall. That won't fix the problem. The problem is located in your mod. When you accidentally moved the house, you created a 'dirty edit' (ie. made a change to the game you didn't want to make). To fix it, you need to clean your mod. There's a short guide to cleaning in this tutorial: https://j-u-i-c-e.hubpages.com/hub/How-to-Make-a-C... Look for the section called 'Clean the Mod' about 2/3 of the way down. 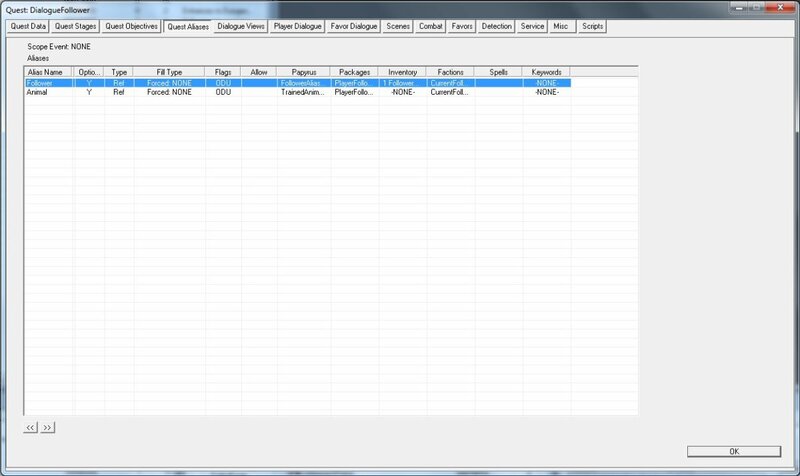 Basically, you want to look at your mod in the CK's Data browser, find the reference to the inn model, tell the CK to ignore that reference the next time it loads (by selecting it and hitting the Delete key on your keyboard), load your mod back into the CK, make a change to your mod, and then re-save your mod. Because you loaded and saved your mod without loading the unintentional edit, the CK will 'wipe out' the previous mistake. If you're going to do any serious modding at all, you need to know how to clean your mods in the CK, so this is a good opportunity to pick up a fundamental skill. Hope it helps. Thank you for this explanation, I love it and it seemed to have worked though I am not sure yet because of the following problem. I placed my created follower inside the Riverwood inn but I by accident moved a part of the building (and tried to set it back perfectly) in the creation kit while placing my follower in there and now as I want to enter the inn through the door the game shuts down. Can I fix this by just placing all mods in another folder (so I don't have to download them all again) and then remove skyrim and reinstall skyrim again? That should fix the building to it's original state right? Or must I do something else. @kar2nz: I think the problem is with trying to import settings from a custom race. You may have to use the race mod as a base for your NPC, or recreate all of the race settings in your own mod. I'm not familiar with the mod, so I'm not sure how difficult that would be, but I recommend contacting the creator of the mod. They're much more likely to be able to help you than I am since I've only really dabbled with races. Also, modders who create new skin textures can probably identify the problem and help you sort it out. Good luck! update on last post. the brown cap effect does not happen until i import the settings from my saved NPC file. I tried everything. saved i don't know how many times. started over from scratch just as many times. tried different locations. tried not using any custom colors. (which would have actually defeated the purpose of my mod, but i tried it just to make sure that was not the problem.) i scoured the creation kit looking for some setting that would solve the problem. no matter what i do, if i import the NPC file, she has a brown cap on top of her head. her hair covers most of it, but it shows up bigtime on her forehead. it even covers her eyebrows. from reading your responses to other people, i am sure you know how frustrating it can be to learn this, even with a very detailed tutorial like yours (which i followed to the letter, step by step.) i used to assemble bikes, toys, and furniture for a living. i am used to carefully reading instructions, so i don't think i just missed something. also, i have been modding since warcraft 2. after that it was unreal tournament, then oblivion, and now skyrim. i want this to work so much. i don't mean to sound unappreciative. bless you for your efforts, even if you can't help me with my problem. @kar2nz: Well, it's hard to tell without seeing your character, but random marks on the face could be caused by an incorrect tint mask. If you made your character in Skyrim with the race mod active and that mod uses custom tints (makeup, complexion, hair color, etc.) that information won't be available inside the CK because it's coming from the mod. You'd have to recreate those tints in your own mod. You'd have to open the race mod, see how those are set up, and set them up the same way for your mod. Combining mods can be very tricky; it's a little outside the scope of this article, but you should be able to figure out what you need to do from the wiki. That's just a guess, though. @Mark: Thanks for the tip about the FemaleNord voice. I've tried a bunch of tutorials like this one, but yours has me the closest to what i am looking for. I am creating a companion from the custom Half Dryad-Elf race, and it has not been easy. The one problem i have left is the hair. There is a brown area covering her forehead which doesn't go away no matter what hair style i use. Also, after exporting the face data, the hair color was not included. any ideas how to fix this? your tutorial is brilliant, i think i may be getting a bit more ambitious than i should for a first character mod, but any help with that brown forehead, and hopefully custom hair color would be appreciated. I figured out the issue (The "I need your help" dialog not showing). First I tried changing the race of my custom NPC from the original Nord to Breton, but I left everything else the same. That didn't fix it. Then, after reading through some of the posts here, I tried changing the voice. I had FemaleNord selected. Even though that's in the approved list for marriagables, it didn't work. I changed the voice to FemaleYoungEager and I got the dialog. Since the same issue (no dialog) was solved by myself and at least one other person here, you may want to add to your tutorial that there may be an issue with FemaleNord (or at least if there is an issue, try changing the voice). Thanks a million for a VERY well-done tutorial, though! I, too am having trouble with the dialog not opening for my custom NPC. I have checked, double-checked, and triple-checked that all settings are as they should be in the CK. I also tried disabling any mods that may affect NPCs - All to no avail. What can I do? Is there a console command to force it? Ah, I see. Apparently the Is CharGen Face Preset box was checked! I thought that I had double checked to make sure it wasn't, hm. But now CK won't save the Relationship preset, uh. @Izabella: Not sure. The CK will sometimes not generate files if it believes that they already exist, but as far as I know this only happens with LOD. Is this the first time you've generated the textures for this character? Also, did you double check to make sure that the Is CharGen Face Preset box is unchecked? When I push Ctrl+F4 and try to export the face settings the confirmation dialog appears, but nothing more happens. There is no Namine.esp - folder in the facegeom and facetint folders. Any solutions? @153x: Are you getting the confirmation dialog after pressing Ctrl + F4? Are the files appearing in the folders indicated in the tutorial? If nothing appears to be happening, make sure that the Is CharGen Face Preset box is unchecked. I'm exporting my follower's face settings with Ctrl + F4 after importing the character files, and my follower is working in-game fine, but her face color is many shades darker than the rest of her for some reason. Like I said, I'm exporting the face settings and it still won't cooperate. Any ideas?